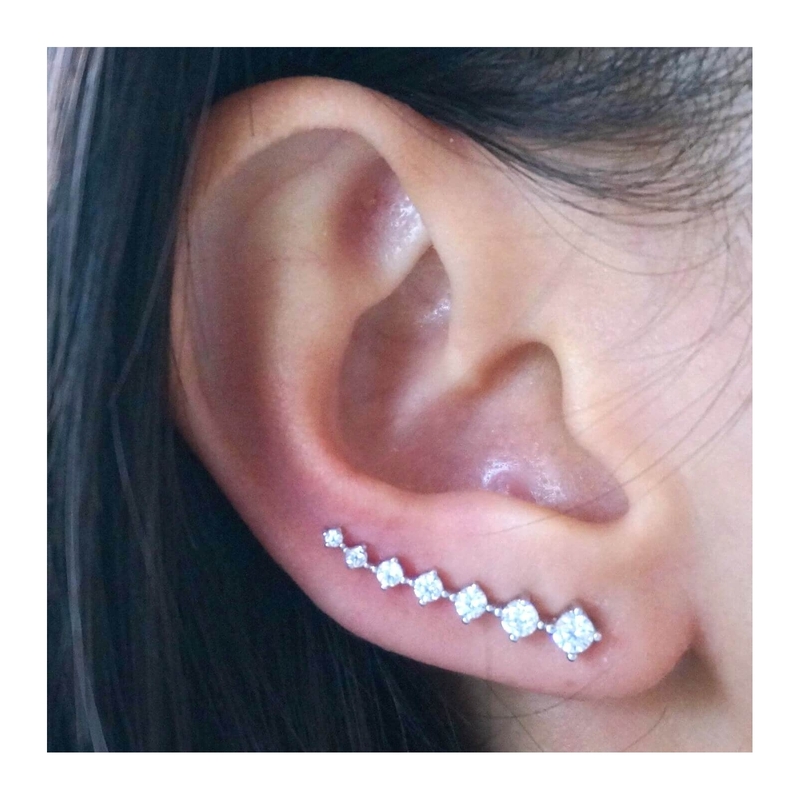 You don't have to have multiple piercings to bring a whole lot of bling to your ears! These crystal ear pins slide in place and instantly give you the look of wearing seven studs at once. Made out of .925 sterling silver and cubic zirconia stones, the earrings sparkle magnificently in the light. Only one piercing needed. Comes in a pair. How to wear: put it on gently and turn it upward.